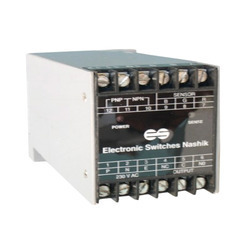 Our range of products include voltage to voltage signal converters, voltage to current, current to voltage signal converters, signal converters, current to binary to digital and voltage to voltage current. We are supported with a rich industry experience and knowledge that assist us in manufacturing and supplying an exclusive range of Voltage To Voltage Signal Converters. The offered converter finds use in process control industries for signal isolation. Variety of models is available for specific applications. Our converter is capable to convert electric standard signals to pneumatic standard signal. Additionally, this converter is accessible in various specifications as per precise requirement of clients at reasonable prices. Owing to the efforts of our skilled professionals, we have been constantly engaged in manufacturing and supplying superior quality Voltage To Current. This product is used in various industries in order to control production lines and various machines. The offered product is offered in various specifications as per the specific needs of the clients. Our valuable customers can avail this product in bulk quantity at competitive rates from us.